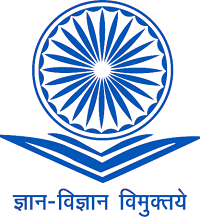 Department of Environmental Science, Babasaheb Bhimrao Ambedkar University, Vidya Vihar, Raibareily Road, Lucknow – 226 025, India. The present work highlights a low-cost, ecofriendly and simple procedure for the synthesis of zinc oxide nanoparticles (ZnONPs), mediated by extracellular secondary metabolite pyoverdine – a siderophore produced by Pseudomonas aeruginosa. The in vitro bio-reduction of zinc nitrate into ZnONPs in the presence of siderophore pyoverdine was ascertained by UV–visible spectroscopy, X-ray diffraction (XRD), Fourier transform infrared spectroscopy and transmission electron microscopy (TEM) analysis. The synthesized ZnONPs were distinguished by a characteristic absorption peak at 416 nm in the UV–visible range. The TEM pictures of ZnONPs showed pseudospherical morphology, with particle size ranging between 50 and 100 nm. X-ray diffraction peaks obtained at 31.73°, 34.37°, 36.24°, 47.40°, 56.68°, 63.0° and 67.8° corresponding to the lattice plane of , , , , ,  and  suggested the polycrystalline wurtzite structure of the nanoparticle. The ZnONPs were found to have an antibacterial effect against Gram-positive bacteria (Staphylococcus aureus and Bacillus sp.) and Gram-negative bacteria (Escherichia coli), and also showed a fungicidal effect against phytopathogenic fungi such as Rhizoctonia solani, Fusarium sp. and Penicillium sp. The present approach of using exogenously produced bacterial siderophore offers a unique in vitro green method of synthesizing ZnONPs, where a direct contact between the toxic metal and biological resource material can be avoided. Keywords: Pseudomonas aeruginosa, siderophore, XRD, FTIR, TEM, zinc oxide nanoparticles.